We specialize in servicing your needs for vinyl, ceramic, hardwood, linoleum and laminate flooring, along with a wide array of colors and materials in carpeting including area and braided rugs. 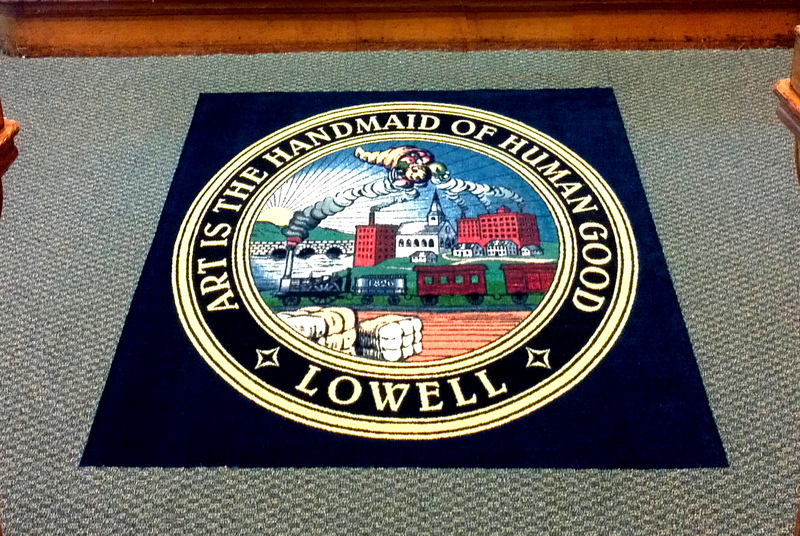 We have have recently added to our specialty product line, the capability to produce carpet inlays containing high quality images, logos and artwork such as the one we contracted with the City of Lowell for their city counsel meeting room. We also have a highly qualified upholstery, matting and drapery workshop staff at the ready to finish off your interior project. Our list of manufacturers include Armstrong, Congoleum, Mannington and Stainmaster for flooring; and Mohawk, Shaw, Beaulieu and Karastan for carpeting. No interior problem is exactly the same, but it is very likely that Merrimac Rug has gone down most all roads since 1941. When it comes to estimating, selection of materials, coordinating colors, budgets, scheduling and helping you get the job done ... because we have been there before! Yes, we can save you time and money the Merrimac Rug way! 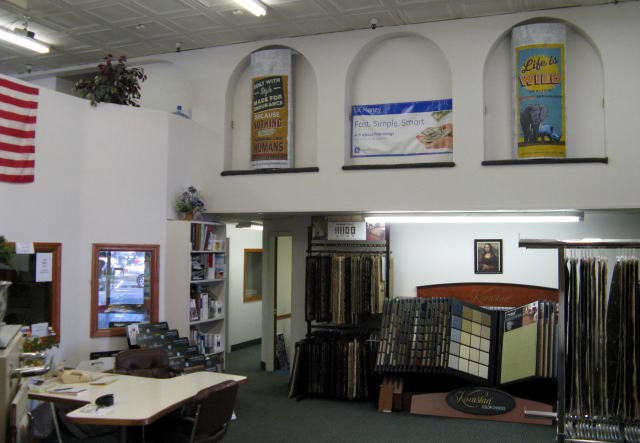 The team at Merrimac Rug @ Durkin`s and Durkins Carpeting & Interiors, Incorporated is thankful for our many long-time customers and friends, who have indeed made our business grow. We believe you should buy products and services from people you can trust so that you may receive the service and support necessary to make your purchase an enjoyable one.